With a range of over 500 kilometers, the Taycan isn’t just sporty—it’s also practical. is the voltage with which the components of the Taycan’s drive system works. Greater environmental protection, new markets, less dependence on fossil fuels: mobility and automobile manufacturing in particular are being reimagined. The ongoing development of electromobility is a future-shaping topic in the industry worldwide. It’s the key to environmentally friendly mobility. Policy is an important factor here. By 2020 European auto manufacturers have to bring their new cars up to a fleet average of just ninety-five grams of carbon dioxide emissions per kilometer. And the number of electric vehicles worldwide is indeed on the march. The total number of electrically powered cars reached some 3.2 million in early 2018. That’s a 55 percent increase over the previous year. The figure includes all vehicles charged with electricity, such as plug-in hybrids. The market is driven primarily by China. There are currently over 1.2 million electric cars there, with 579,000 of them added in 2017 alone. In the US, the number of electric vehicles rose by 195,000 in 2017 to a total of over 750,000. Germany has comparatively low figures, but they did rise by 54,490 to 92,740 vehicles in total. The share of new registrations came in at 1.6 percent. If the growth rate stays near the level of 2017, the number of annual new registrations for electric vehicles worldwide will exceed twenty-five million by 2025. Electrification in the carmaking field is driven in equal measure by regulations in the areas of nitrogen oxides and CO₂ and urbanization. The world is gathering in cities—everywhere. Since 2007 as many people have lived in cities as in rural areas. In parts of Asia and Africa, urbanization is reaching a breakneck pace. Megacities like Tokyo, Mumbai, and Shanghai provide a glimpse of the course of advancing urbanization. PSM electric motors are the turbos of the electric motor milieu. They boast both extremely high sustained performance and maximum efficiency. 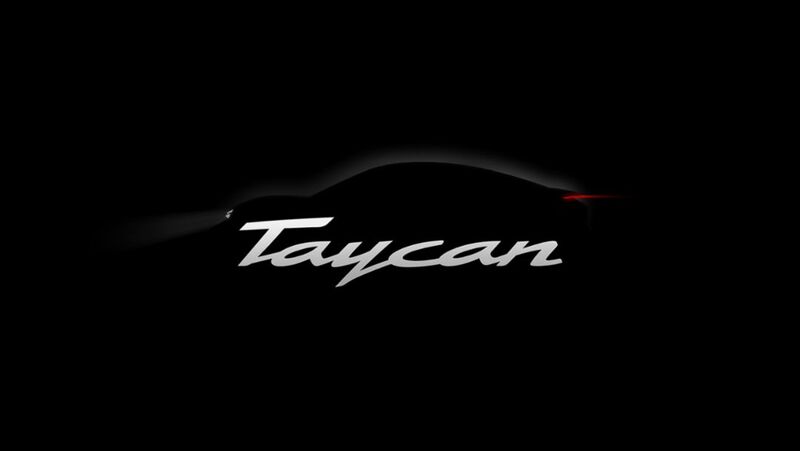 One motor powers the Taycan’s rear axle, the other the front wheels. Together they generate over 600 hp (440 kW) and are fed by batteries designed to provide five hundred kilometers of range. The Taycan sprints from 0 to 100 kmh in well under 3.5 seconds and tops 200 kmh in under 12. The PSM drives convert electrical energy into power with great efficiency, smoothness, and sustained output while generating relatively little heat. A Porsche with electric drive technology is naturally track-ready as well. The PSM motors also enable a very compact design. As Mayer observes, “That makes it possible to make the motors and batteries smaller and lighter with the same power figures.” And to save even more space, the electric motors’ solenoid coils feature a so-called hairpin technology design. “The coils are made of wires that aren’t round, but rather rectangular,” explains Naser Abu Daqqa, director of electric drive systems at Porsche. “This makes it possible to pack the wires more tightly and get more copper into the coil machines—increasing power and torque with the same volume.” The Taycan’s power electronics are also fine-tuned for efficiency. The inverters that convert the battery’s direct current into alternating current for the electric motor don’t work with a fixed pulse frequency as is common, but with a steplessly variable pulse frequency. “So the motor always runs at the optimal operating point,” explains Mayer. Intelligent performance is also delivered by the cooling system. Temperature sensors detect the cooling requirements in real time, while software ensures that the cooling water is immediately directed to the right spots. If the driver floors it, the cooling kicks into high gear as well, ensuring constant power. Three essential factors define the development. One: the weight. Two: the temperature. Three: the availability of raw materials. Theoretically, ranges of over five hundered kilometers are already possible today, albeit with a serious handicap: the weight of the technology. Lithium ions are therefore packed together as tightly as possible. The more of them that fit into a battery, the more electrons and thus more energy can be stored in the same space. Doing that means changing physical and chemical processes on the atomic and molecular levels in the cell. Then there’s the fact that a battery only works perfectly at optimal temperatures. A lithium-ion battery, for example, works best between 20 and 40 degrees Celsius. That applies to both charging and driving. Finally, automobile manufacturers are also faced with two other fundamental challenges: the sufficient availability of raw materials and extracting them sustainably. Porsche is actively preparing itself for both. But for Lobenstein, the topic of batteries doesn’t end there. Sustainability is more than just a marketing term in Weissach. Porsche developers are already intensively studying how the Taycan’s batteries can be reused in the future. After all, a Porsche has an extremely long life cycle, longer than the vehicles of other brands. The batteries should have the same. A second life, at any rate. The new generation of charging stations is designed for 800-volt technology. But it’s also downward-compatible for all vehicles on the market with 400-volt technology. Great distances between charging stations, no standard payment model, competing connection systems, inadequate power grids—the simple matter of getting new energy into empty batteries is anything but. International standards for adequate geographical coverage with modern charging stations for millions of electric vehicles? Still in the works. There’s a fundamental distinction between conductive and inductive charging. With conductive charging, energy is transmitted between the vehicle and the power grid through charging cables and a plug system. With inductive charging, the energy is transmitted between the vehicle and the power grid without cables through electromagnetic induction. Step out of the car, open the tank cap, fill up, pay—and get back on the road in a few minutes. That’s been the drill for drivers until now. The technology required for charging electric vehicles is in fact already in place, with the expansion of a charging infrastructure already in the works across Europe. But enabling an uncomplicated and fast-charging procedure for electric vehicles on motorways and urban areas requires international coordination and agreements—no easy task, to be sure. Policy answers are needed. The spottily available rapid-charging stations that currently exist seldom offer more than fifty kilowatts. It takes roughly an hour of charging time to deposit enough electrons in the battery to power the next stretch of 250 kilometers. The operative questions, therefore: How can we charge faster? How can we get enough universal charging points? And how can we strengthen weak power grids? It’ll take years to build a comprehensive charging network for electric vehicles. To speed up the process, Porsche is rolling up its sleeves. 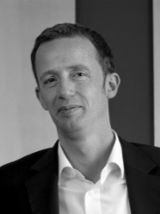 “Faster charging will only work with a higher charging capacity; that was clear from the outset,” says Fabian Grill, who’s working on the expansion of the charging infrastructure for Porsche. His colleagues had already established one important prerequisite: the Taycan, the first purely battery-powered Porsche sports car, works with an 800-volt battery. 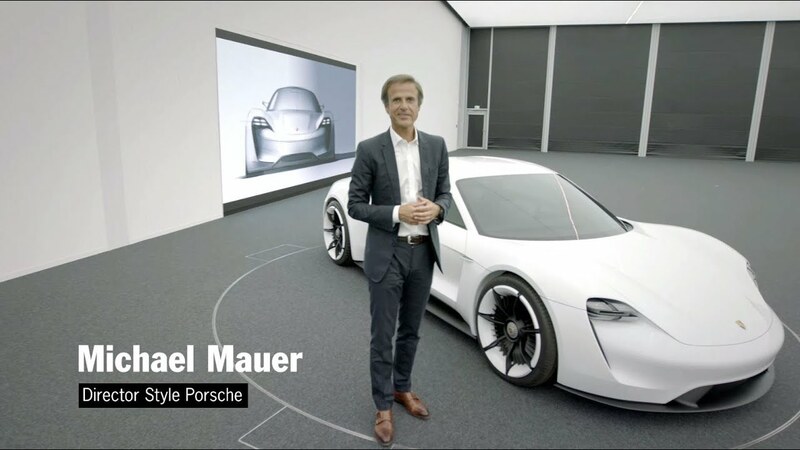 In order to be able to make use of these technical possibilities in the public sphere, Porsche is pushing the expansion of a fast-charging infrastructure. “Plug in and charge fast” is the motto. Payment is completely automatic. Porsche and its development subsidiary Porsche Engineering are pursuing a modular in-house concept for ultra-fast charging parks. Whether it’s individual stations in the countryside or dozens of charging stations along highways: the solution is an intelligent system with practically unlimited scalability. And that’s important to making charging parks efficient and profitable. For Porsche customers, the main priority is being able to charge their vehicle rapidly even where the local power grid is weak. That’s now possible thanks to intermediary buffer batteries, which always have enough capacity on hand. Specifically, this means fast charging in about fifteen minutes for a range of four hundred kilometers at every Porsche charging point. Operation of the charging stations via touch display is roughly as intuitive as an ATM and just as secure. The expansion of the charging infrastructure is moving forward in the USA and China as well. The solution from Porsche can, incidentally, be used universally for any electric vehicle. The control electronics detect what type it is and reduces the charging current if the model isn’t designed for fast charging. With this infrastructure, a pioneering spirit is translated into reliable practicality and range security. Those who work there know the Porsche Taycan inside and out before the rest of the world ever lays eyes on it: the prototype construction department in Zuffenhausen is the birthplace of every new Porsche model. The 800-volt technology of the first purely electrically powered Porsche, its battery system, the complex cooling system: what the designers imagine for the Taycan is translated into initial test cars by the specialists in the closely guarded prototype construction department. At the same time, they lay the groundwork for series production, because they test and perfect all the necessary assembly and logistics concepts. They also train their colleagues from the assembly teams to ensure an optimal preparation for the Taycan’s series production.